« Story + Art = stART – Story- and Thank You Time.. 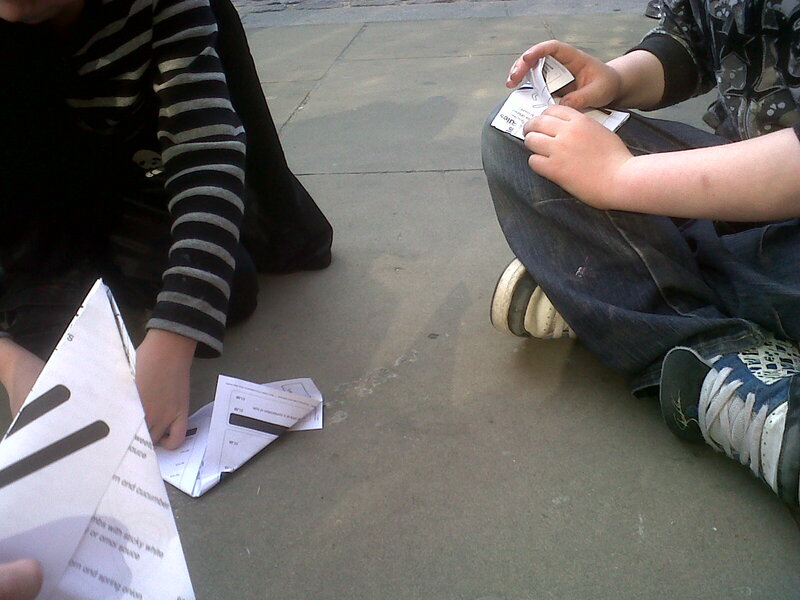 So, this time we are making a Paper Boat, that FLOATS. Kids can colour it in and take it in the bath or play with it on a small river (it will dissolve, should it float away). I have also used it to make a cute Father’s Day card! 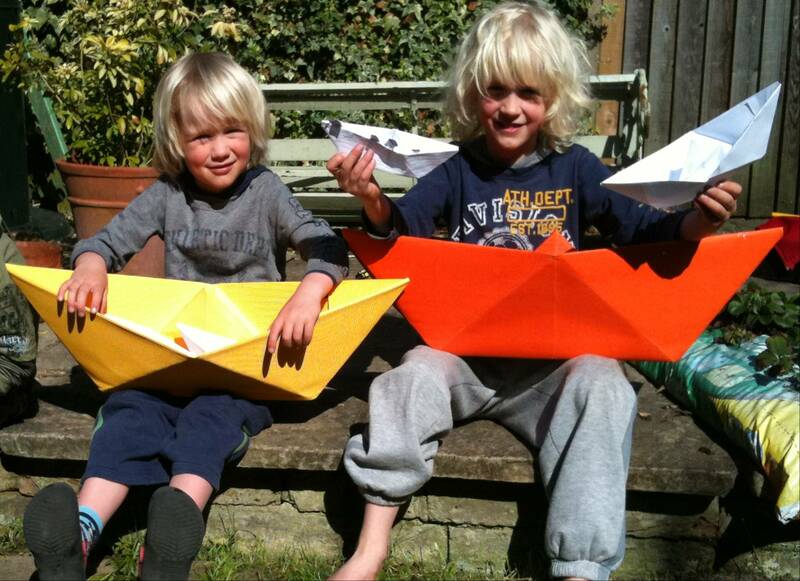 My neighbours boys (5yrs & 7yrs) saw my draft video and after that they couldn’t stop – we made about 20 boats over the weekend – including to two MASSIVE ones. The 7yrs REALLY impressed me with his Pirate Ship and Island. This is what “How to..” is all about – getting stuck in and having fun with crafts! So chuffed! 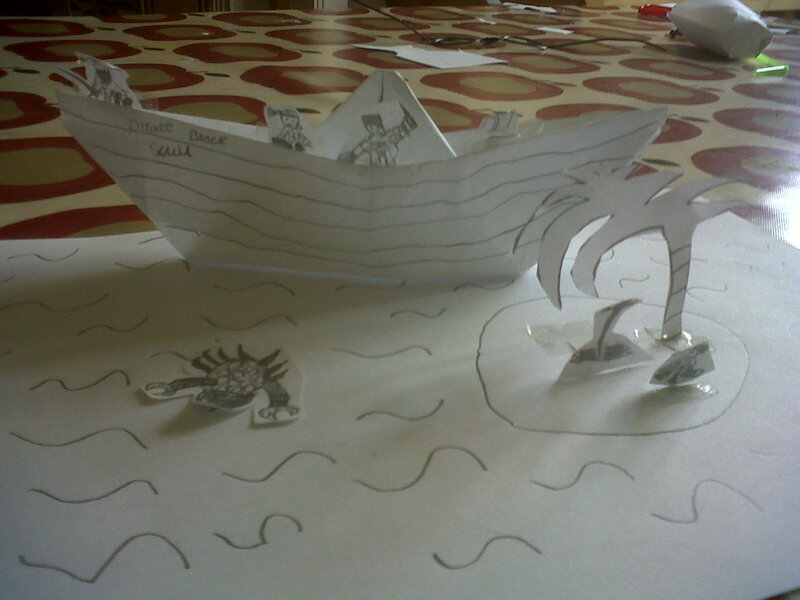 Then it got better, they then went to a party… and ended up TEACHING their friends how to make boats. Here they are “all” at it. **Bless**. This is a little trickier than the cup, but once you know how to make one, you can make it anywhere out of any scarp paper (even a bus ticket!!). Keep your kids entertained on the go!